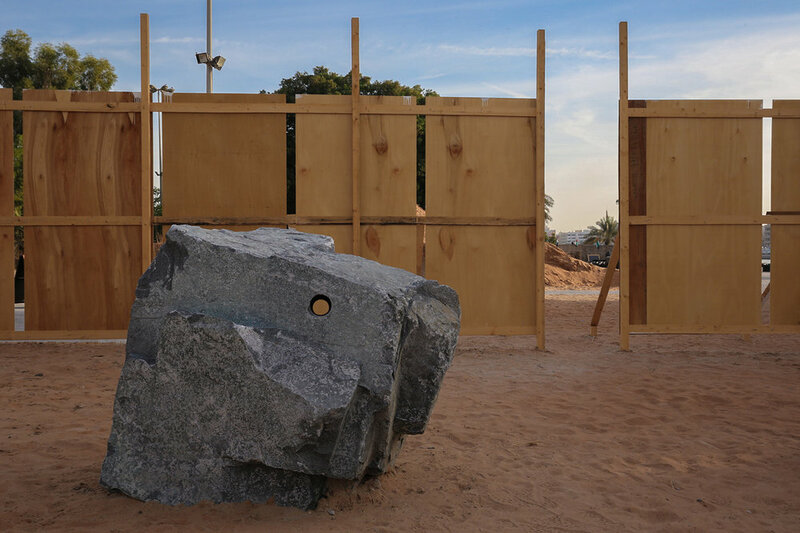 Boulder plot is a site-specific sculptural installation composed of gouged boulders that were carefully handpicked from Fujairah, where quarries regularly conduct blasts in the mountainous Emirate to extract rocks used for asphalt, concrete, marine and infrastructure construction works. 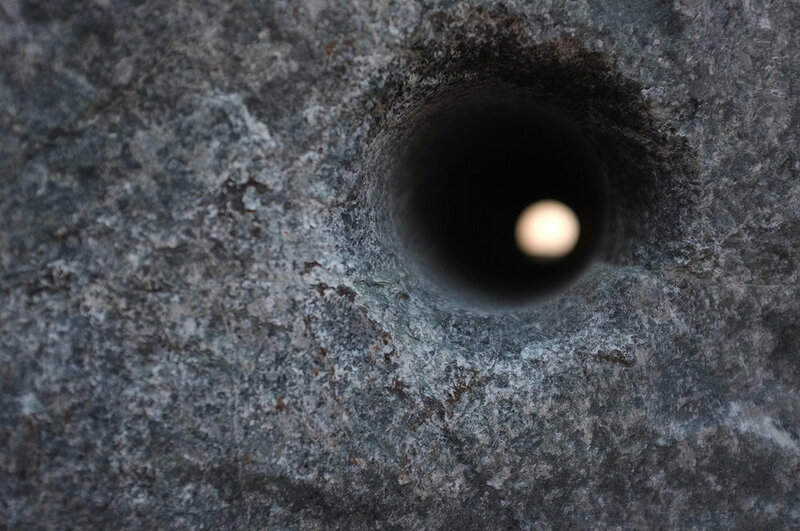 Transported to the city and arranged in a regimented order within a barricaded empty plot, viewers get a private audience with the boulders, allowing them to peek into the construction activities that extend into the mountainous landscape of the region. Dubai’s cityscape is littered with such construction sites barricaded from public view. Revealed to the viewer in an enclosed space, these rough extracts from nature highlight an invisible yet common construction process. 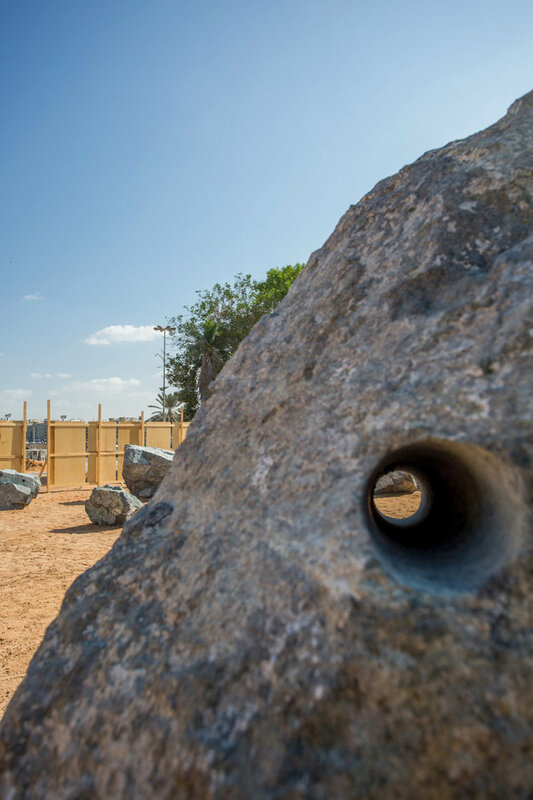 After the exhibit the boulders will be sent to a crusher plant from where they will be distributed into the region’s construction industry market. With the support of Abhay Dudhankar, Blasting Engineer (Arabian Rock Engineering), Fadi Boughader (United Quarries), Eng. Ibrahim Salam (Al A’ali Crushers), Eng. 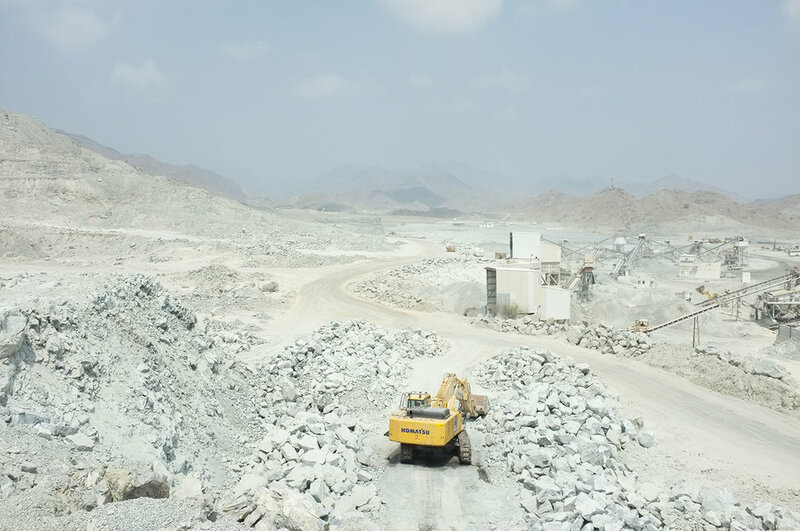 Mohamad Harb (AMP Aggregates Manufacturing Plant), Raed Limoun (Doha Quarry), Doug Ross (Combined Mining and Shipping), Mohammed Suhail (Fujairah National Quarry).